On “Organism_evolution”, the follow-up to last year’s critically acclaimed “Organism”, AROVANE and PORYA HATAMI add elements of musique concrète and electro acoustic music to their experimental, field recording-based ambient sounds. Since his return from a 9 year long hibernation in 2013, the Berlin based electronic artist UWE ZAHN alias AROVANE has been more productive than ever and released a dozen of solo and collaborative albums. PORYA HATAMI, one of the main protagonists of the vivid Iranian electronic underground, released several albums on labels like HIBERNATE and introduced himself as a skilled experimental sound artist exploring the balance between electronics and environmental sounds. “Organism_evolution”, as the title points out, develops further the aesthetics of “Organism” where the duo crafted sophisticated ambient music of timeless beauty. Their new album reveals influences of musique concrète and electro acoustic music that place the tracks in a more experimental field. Using techniques like modular synthesis, granular synthesis, spectral processing, granular synthesis, resynthesis and resonator / modal synthesis, AROVANE and HATAMI used many different layers of processed sounds and field recordings to create depth and complexity – with every new encounter, the listener will discover new sonic aspects and dive deeper into the multifaceted structures of the masterly sound-designed 23 compositions. 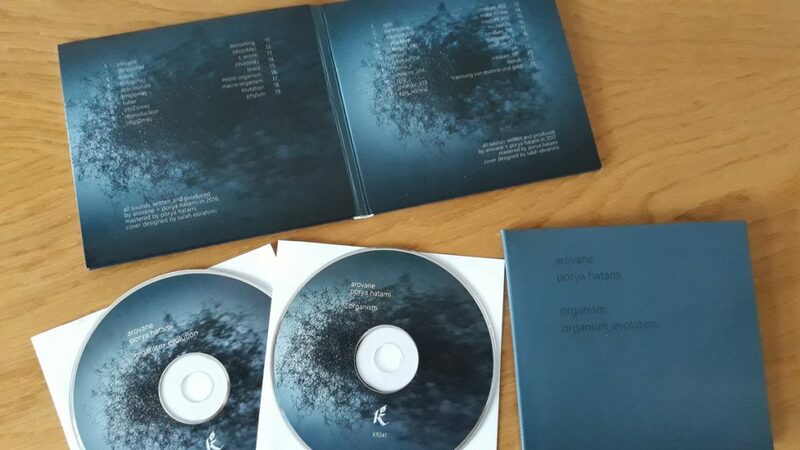 Besides the release of “Organism_evolution” as digital download, there is also a double CD combining the new album and the critically acclaimed “Organism” from 2017 in a special gatefold digisleeve.